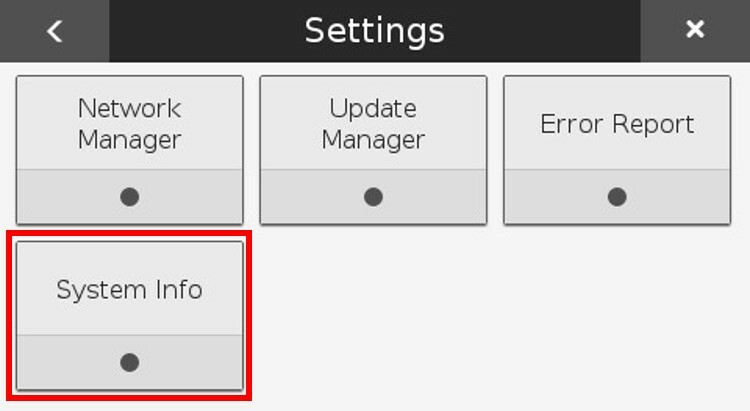 If you powered up your printer before adding your printer to your Eiger account, you will need to power cycle the printer before it will be connected to your account. 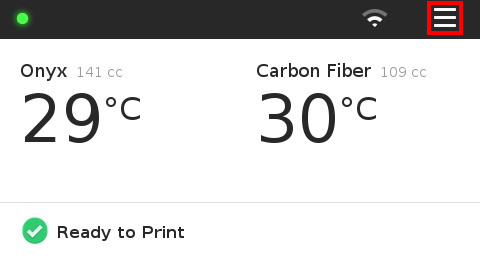 Press the WiFi icon in the upper banner on your printer's touch screen. 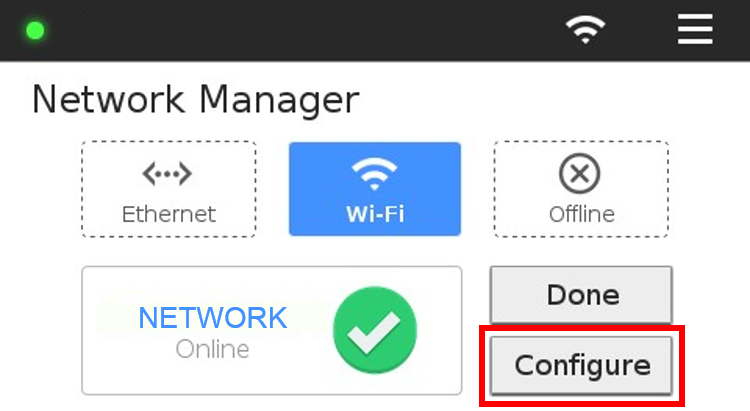 Press the "Configure" button to enter your Network information. 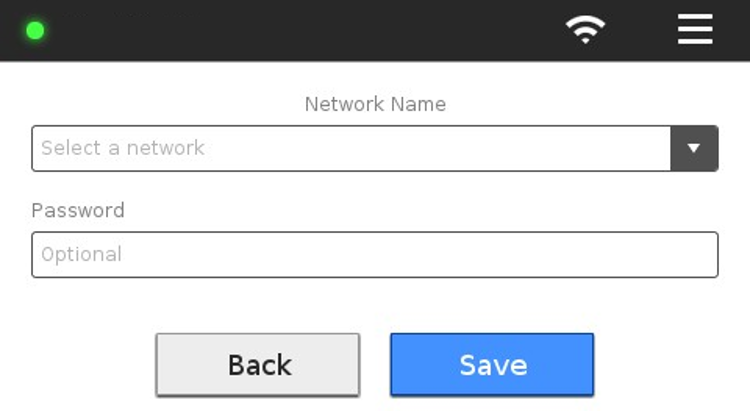 Choose a network from the "Network Name" drop-down menu and enter your network password, if necessary. 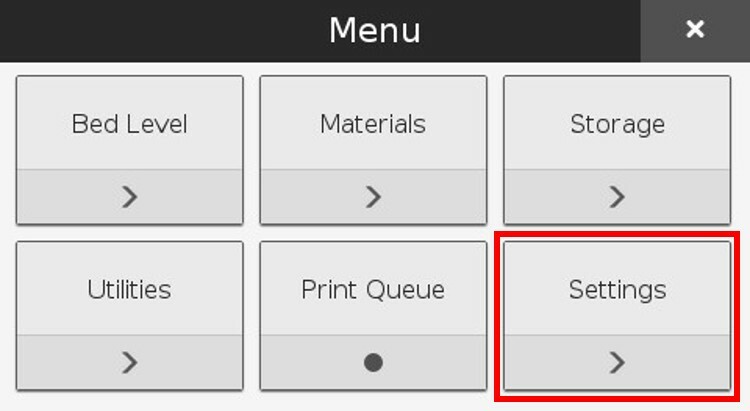 Press "Save" and wait for your printer to finish connecting. 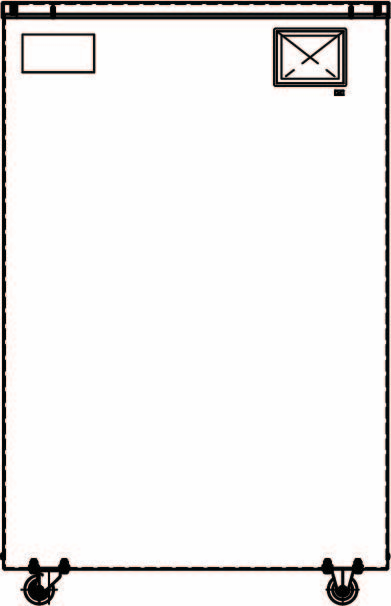 Once your printer starts up, you should see the Ethernet Symbol in the upper right corner of the screen. Your printer does not inherently have a way to view its IP address, but it does allow you to find the MAC Address for either Ethernet or WiFi. 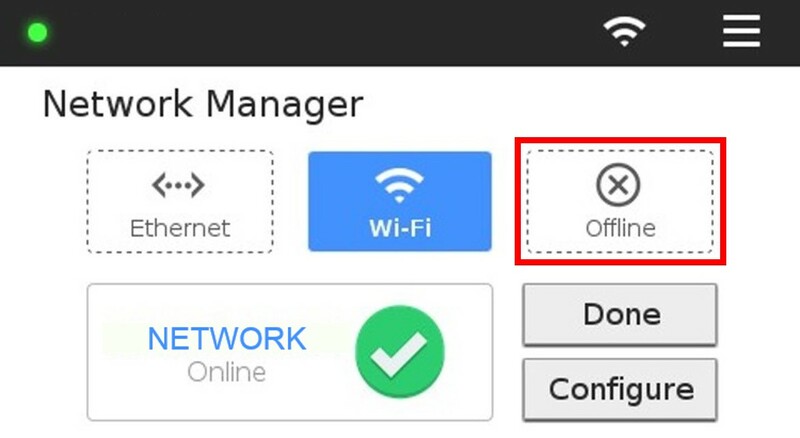 Press the icon for Ethernet or for WiFi depending on which MAC Address you'd like to access. 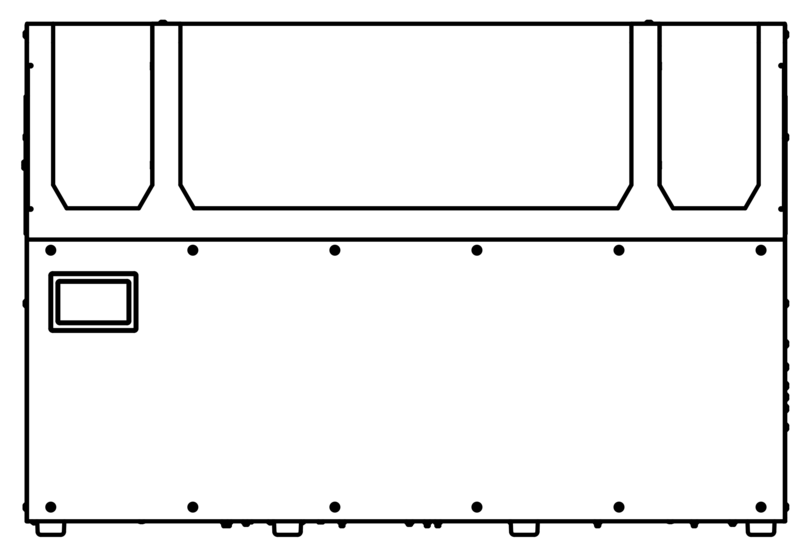 Note: Your printer will display the MAC address of whichever connection option is currently enabled, even if the printer is unable to connect to the internet. Only one MAC address can be displayed at a time. 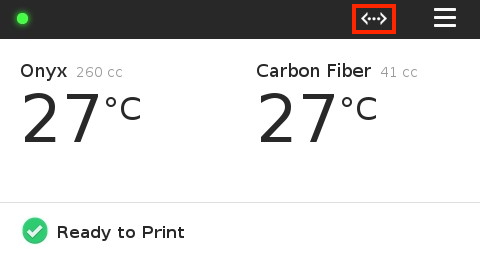 Press the menu button in the upper right corner of your printer's touchscreen. 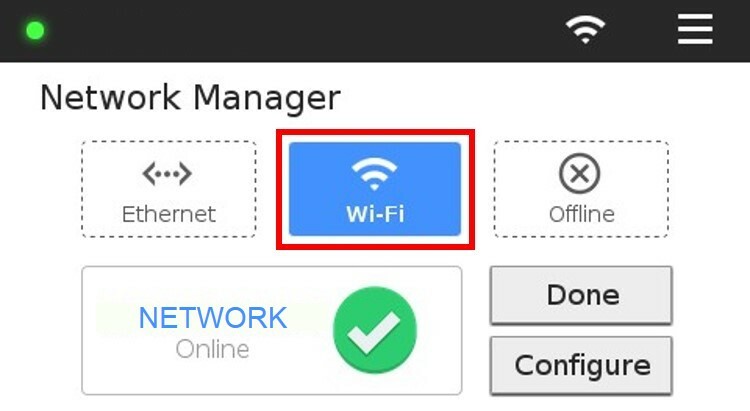 Select the WiFi icon at the bottom of the screen. View your MAC address for the enabled connection option. 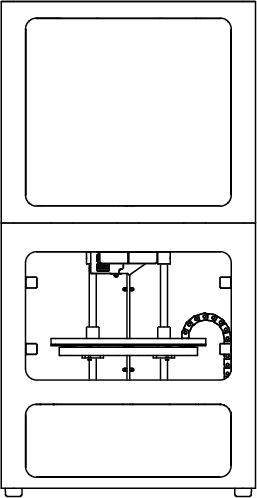 Markforged products support DHCP only, there is no support for static IPs. Printers will need to access the following hostnames on given ports.